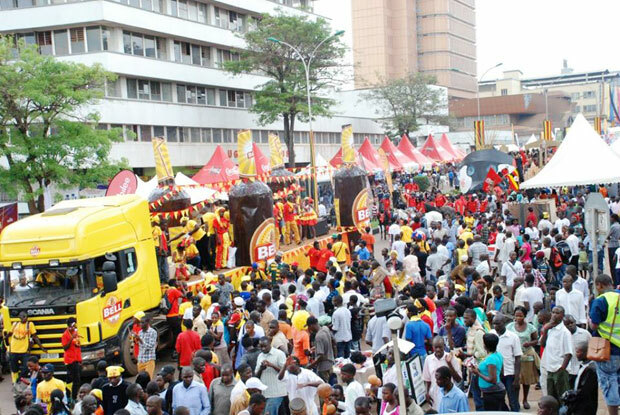 For many years now, KCCA has been organising a city festival which has attracted attention of many people in Kampala to come and trade their goods and also for those who want to have some fun as it contains lots of entertainments for Kampala people especially the youth. Kampala Capital City Authority with overwhelming support from Government entities, Private Sector Partners, Faith Based institutions, Development Partners, Non-Governmental Organizations, individuals and the general public has for the past 6 years successfully organized and hosted the Kampala City Festival (KCF). 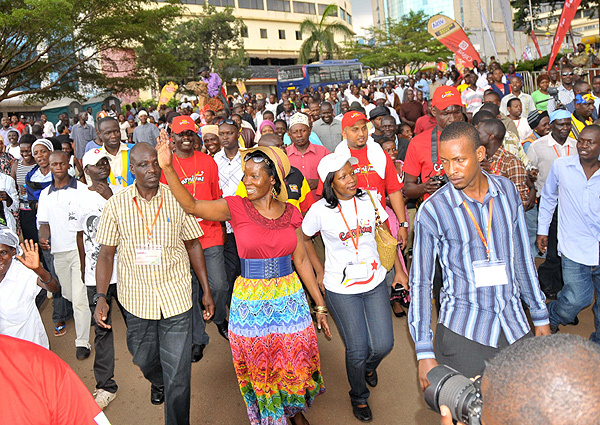 The Kampala City Festival (KCF) started in 2012 and has become an Annual Event that brings together the diverse people of Uganda, visitors and Kampala residents in one event to celebrate their City, their rich cultures and Uganda’s Independence irrespective of language, background, social status, creed or political alignment. The KCF has also become a big business and marketing opportunity for the private sector entities, entertainers and individuals as well as a forum for sensitizing the public on matters of health and the work done by various Government Agencies Besides the KCF becoming a mega event that has been ranked as the biggest Street Event in East Africa and among the top five events World-over, the Festival has grown to provide KCCA with an opportunity to raise funds to support our ongoing efforts to improve the social services especially among the urban poor in Kampala; currently focusing on improving the state of the 79 Universal Primary Education Schools across the City. A lot of improvement has already been registered in form of new classrooms, computers, furniture, books, removing asbestos and re-roofing classroom blocks with iron sheets, improved water and sanitation, furnished kitchens, teachers’ houses and general renovation. 1. The removal of residual Asbestos roofs and further improvement of City UPE schools. The removal of the remaining Asbestos roofs and replacement with iron sheets requires approximately UGX 1.9 Bn. We intend to start with Nakivubo Blue Primary School and Nakivubo Settlement Primary School, both located in the Central Division of Kampala and proceed to others as funds will allow. 2. Construction of a maternity ward at KCCA Kiswa Health Centre, in Nakawa Division to support Kampala mothers to access nearby health services. KCCA Health Centres currently handle over 400 deliveries a week. Similarly, we will cover as many KCCA Health Centres as funds will allow. The initiative to improve our schools and health centres has been further supported by several partners and the KCCA fraternity (Management and Staff) who have supported this cause over the past 5 years and recently, launched a Weekly Donation Campaign dubbed, 2k For Our Schools to encourage all KCCA staff contribute towards this noble cause. Working with our highly esteemed partners, this year, we are focusing our KCF strategy and contributions towards improving our Schools and Health Centres, for the benefit of the people of Kampala . In light of the above refocus, we hereby wish to inform the general public that the Kampala City Festival public activities earlier scheduled for Friday 5th to Sunday 7th October 2018 have been cancelled. Payments made by Traders for street trading spaces on those days will be refunded on production of proof of payment. However we will continue with the drive towards improving the lives of the people of Kampala through the above projects among others. We thank you all for the immense support and call upon all City stakeholders to continue supporting this good cause . READ Will Museveni’s suggestions of ‘Anti-corruption Unit’ end corruption in Uganda?